Samson Doors are Northampton's premier supplier of Roller Shutter and Security Doors and associated physical security products. and non insulated roller doors, security, high speed, fabric, high vision and other features for the perfect roller door for your requirements. If you are located in the Northampton area and require a professional Roller Shutter and Industrial Door manufacturer and installer of high quality, with professional service and the lowest prices on the highest quality products, we will be delighted to discuss your requirements. 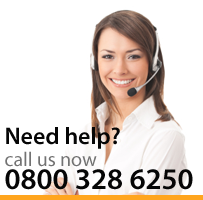 Call us today on 0800 328 6250. Samson Doors manufacture, distribute and install a full range of own branded roller shutters and industrial doors as well as being preferred distributors for SWS, Hormann, Novoferm and many other leading manufacturers. We construct each roller shutter door to the highest and most exacting standards, purpose made to your specification and environment. 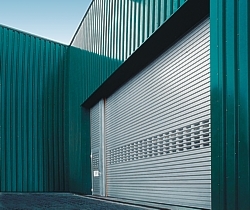 Benefit directly from our years of experience in all types of roller shutters and steel doors. Try us for our prices, we offer the best possible prices direct to you, and bulk discount prices also are available for contracts. If you are interested in roller shutters, security shutters, fire rated, shop front, industrial doors, retractable gates, roller shutter manufacturer, electrical, insulated, industrial and window roller shutters please call us today on 0800 328 6250 or email us to discuss your requirements. We offer a quick turnaround service and in emergency situations we guarantee our best efforts to offer a same-day replacement or repair service. For supply only requirements we offer next day overnight delivery if required and our products are always competitively priced with full back up service and guarantees..
Click here to view our Roller Shutters Doors Northampton or contact us today on 0800 328 6250.